Saint Andrew Catholic School has been a premier elementary school in Fort Worth since 1954. The Annual Fund helps keep this spiritual and academic tradition alive. 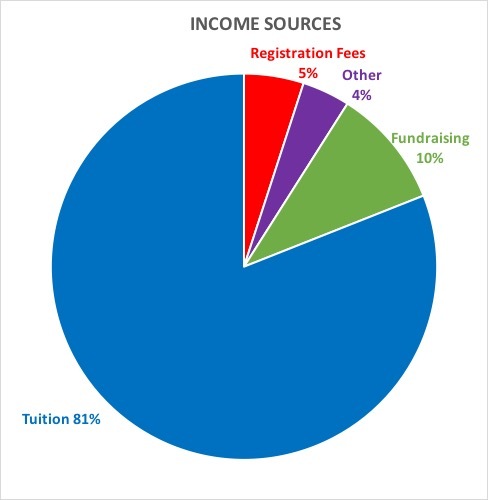 Tuition and fees provide only 86% of our 5.3 million dollar budget. Parish investments, all fundraising, and foundation grants provide the additional 14%. The Annual Fund is the cornerstone of all fundraising. Participation is most important! Every gift matters; gifts of all sizes add up to make a difference in the lives of every student, every day! The Archie and Viola Meinerz Family Foundation and the Cartwright-Sells Fund of the of the North Texas Community Foundation have graciously increased their grants to $50,000 to double new or increased gifts to the Annual Fund. Gifts at the $2,000 level or higher receive a reserved premimum table for 10 at our Annual Auction on April 6, 2019 at Ridglea Country Club. The Annual Fund supports the tuition assistance program, academic programs and enhancements, upgrades to classroom technology, professional development opportuities for faculty and staff, and much more. When you give to the Saint Andrew Annual Fund, you play a vital role in helping to fulfill our mission.